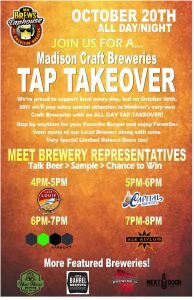 Madison Craft Brewery Tap Takeover! « Bergamont K4 Members Only Night! Join us and all of your favorite Madison breweries as we take over the taps at Mr. Brews on Junction Road.